Every since I started shopping for myself my Mom would always tell me if you see something you totally love. Buy it in every color. Get more than one. And there are times when I do that. My criteria is I have to love it. I mean … love it so much I’m thinking of wearing it two days in a row and I don’t care what people think. When I had initial success with McCalls 6926 … as part of Sewcialists Tribute Month … there was really no reason why I shouldn’t make another. (Tee Hee) When I initially saw this pattern, the one thing that caught my eye was Version A which has a scalloped lace on the yoke. 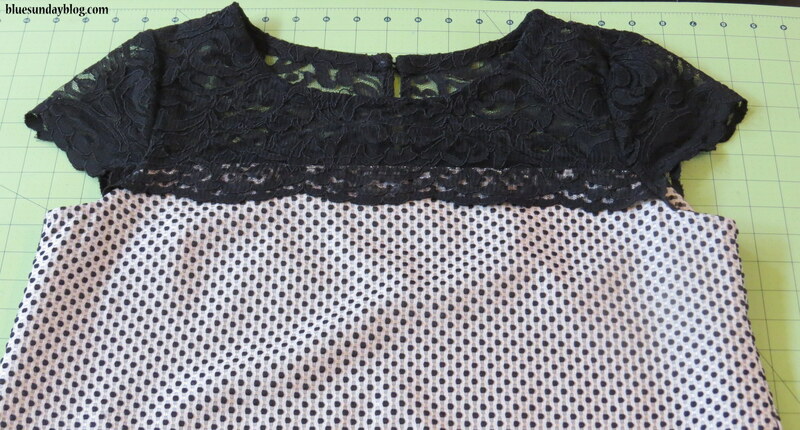 The challenge … I’ve never sewn with lace before. So … why not, here’s my version of McCalls 6926 with lace. For my first version , I used a border print to create visual interest. It was a lot of fun. Since then I’ve been a little obsessed with fabric, and making good fabric choices. With that, it took me a while to find this lace. I was looking for a scalloped edge lace but I didn’t want my grandmother’s lace … you know what I mean? I wanted a lace that had a little interest …. 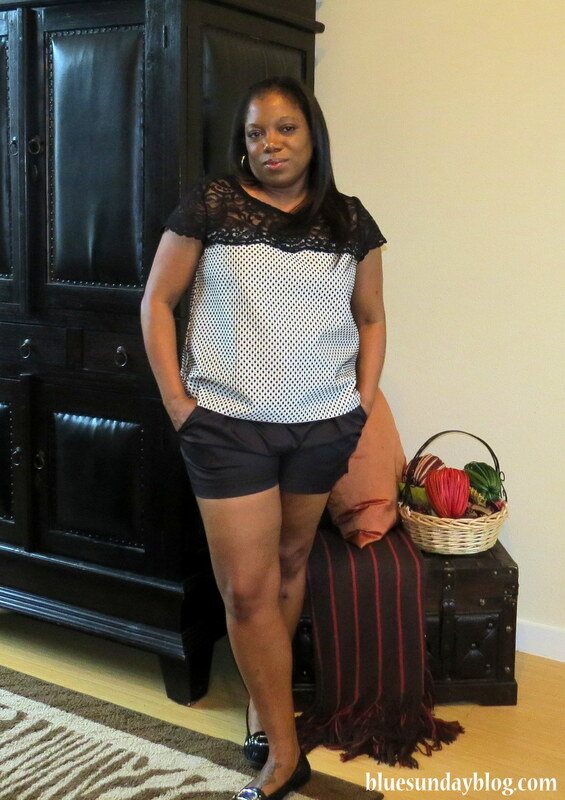 pizzazz … some funk … and fit my personality. As I’ve grown in my sewing, I’m starting to love textures. As I’m getting more adventurous, I don’t mind mixing textures to see what I can come up with. 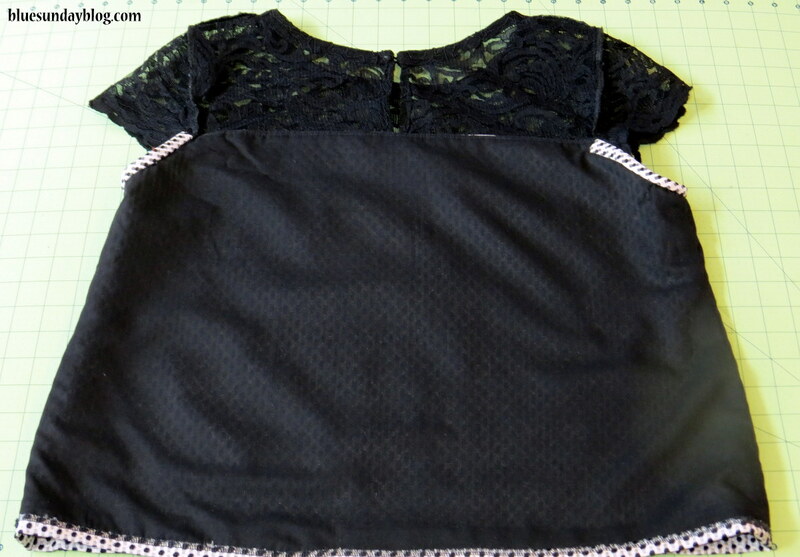 The bodice is a beautiful woven and the black bubbles are slightly raised in the fabric. I came across this fabric combination at Fabrique Fabrics here in Plano, TX. Fabrique was the only place I could find this scalloped edged lace that wasn’t my grandmother’s scalloped edge lace … know what I mean? The detail is hard to see in the pictures, but the lace is raised, and is quite beautiful. I like it a lot! Since I focused on fit with the first version I really wanted to focus on the inside of this garment. I used it as an opportunity to hand stich the arm and neck facings. I also hand finished the hem. And heck … since I was going all out any way … I decided to fully line the darn thing. And you know what … it was worth it! Not an exercise in futility. So here’s what I really like about this. When I’m at Dillards or Nordstrom struggling over the price of a garment … it’s those little extras that I’m looking for. Is it lined? How’s it hemmed? What do the facings look like? It’s those details that determine if I am going to pay $$$ or $$ for something. I love that I was able to include those details with something I’ve made. Yes, I’m going to have a yay me moment! Are you as excited as I am that I made something like this? Please … don’t be offended and indulge me. It’s been a long sewing journey! For the lace yoke, I serged the seams after I sewed the seam allowance. I don’t know if this is the correct way to finish it. How do you finish lace seams? Please let me know. In retrospect … I wonder if a French seam would have been better. 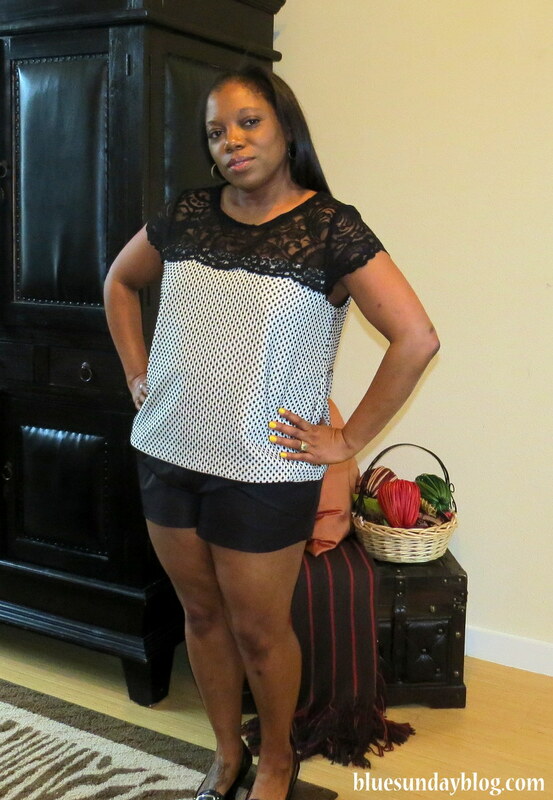 With the lace the single button detail is a little more visible and adds a feminine touch. Now I thought I had a good fit until I was really looking closely at this picture. I wondered if I should have raised the armhole slightly. You can’t see my bra or anything, but it looks a little low on some of the pictures. Tell me what you think. I wonder what an all lace version of this would look like. The pattern instructions call for a lining so it would be easy to have a lace yoke and bodice and line the bodice portion. I know I’m VERY casual in the pictures with shorts, by my plan is to wear this to the office with a black pencil skirt and cute shoes. I can’t say enough about this pattern, if you really want to be creative with fabrics, textures, color blocking … you have to give it a try. And I have to say I will sew with lace again. My big win was not ruining it … it has been my most expensive fabric purchase to date. I’ll see you on my next adventure. 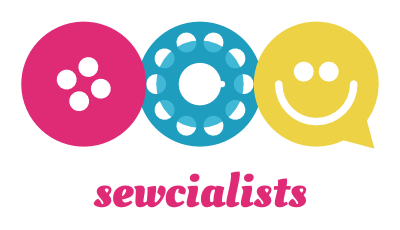 By the way – if you haven’t been out to the Sewcialists this week, definitely stop by. I’ll be hanging out there once a month sewcializing with some of the amazing crafters that are highlighted on the Flickr page. This month I was able to interview Meg McCarthy at Cookin’ and Craftin’. Can I tell you she’s an amazing sewist!! Add checking out her Flickr page to your to do list! It looks really lovely. I love lace! 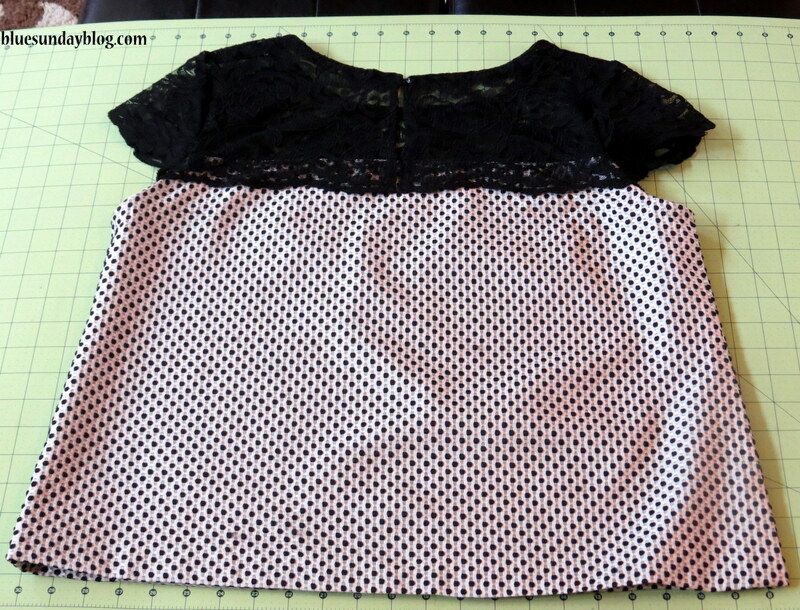 I use the same seams….I sew 1.5 , then chop back to 0.5 and then zig zag finish. It looks like it has been overlocked but I don’t have one! So you used a good choice I think! Thanks Amanda. Good information for my next version! I too am least obsessed lately. I like what you did here. I love the lace yoke. Good job! this looks so cute! great job with the lace! I looked up how to finish lace seams in my Sandra Betzina “Fabric Savvy” book and she recommends using Seams Great (http://www.joann.com/dritz-seams-great-5-8inw-x-10yds/1923457.html) or satin binding. I probably would have done a French seam, but only if it wouldn’t make the seam too stiff and scratchy. I can’t see why serging wouldn’t be fine, though. As for the arm holes, they look fine to me–I tend to err on the side of more room in the arm holes for the sake of comfort, though. Anyway, great job on this blouse! Yay you! Hi! Thank you. This is great information. I hadn’t considered either, but I bet the satin binding would have provided a more professional finish to the wrong side of the garment. This is great information … and thanks for the reference to the Sandra Betzina book!